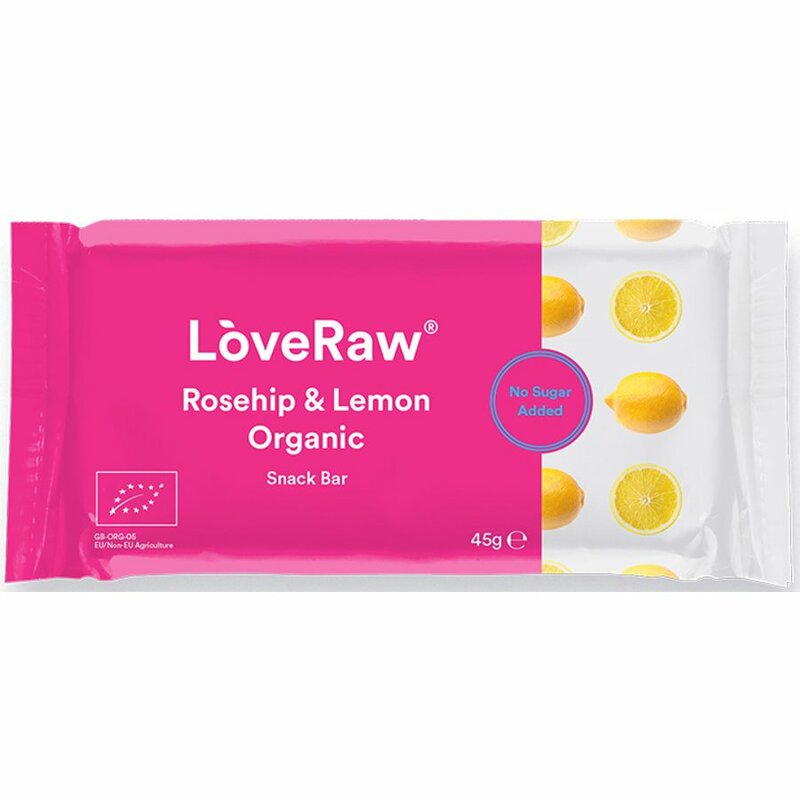 High in Omega 6, vitamin C and protein and packed full of nuts such as almonds and cashews to keep you fuller for longer, the Rosehip and Lemon superfood bar from Love Raw is a delicious and healthy snack. Rosehip is a great source of Vitamin C, containing more than 60% than most citrus fruits. It is also high in Vitamins E & K that speed up the healing process for skin irritations and bruises. Lemon has been used for centuries for its strong antibacterial and liver cleansing properties. 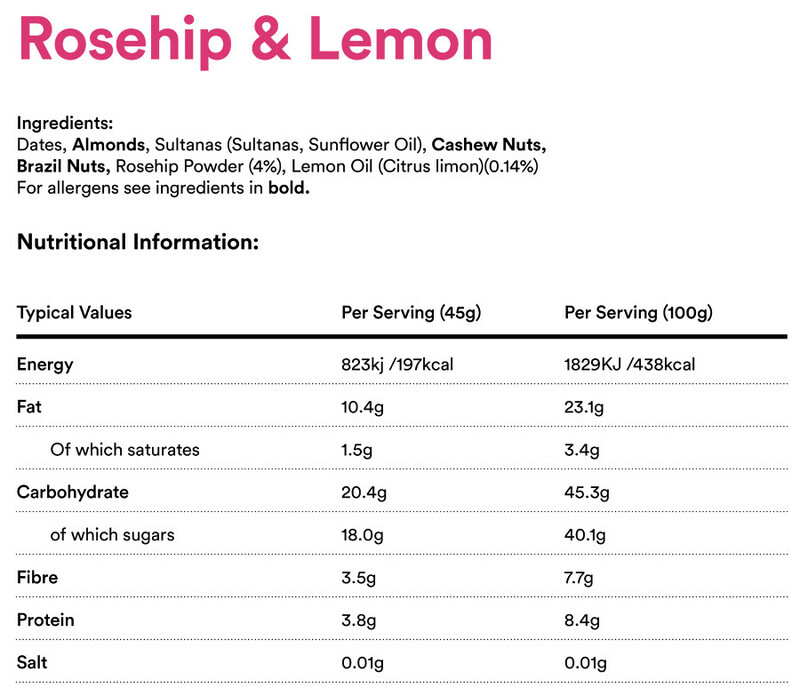 Lemon oil is also naturally high in Vitamin C.
The Love Raw Rosehip & Lemon Superfood Energy Bar - 48g product ethics are indicated below. To learn more about these product ethics and to see related products, follow the links below. Delicious and satisfying, very pleased to have discovered these bars, they get me through the morning at work without succumbing to the endless cakes and biscuits that always seem to be on supply! Bought this to try it, would use it again. What was my favourite brand of snack bars has been 'improved' into something utterly disappointing. This used to be a high protein, low carb, great texture, satisfying, tasty bar. It is now a low protein, high carb, waxy slab with weird crunchy granules like ground nut shell, that isn't even as good as similar brands. This has also been reduced in size from 48g to 45g so I wonder if the recipe change was driven by reducing costs or just the low fat fallacy. Won't buy again in this form. Thanks for the memories! 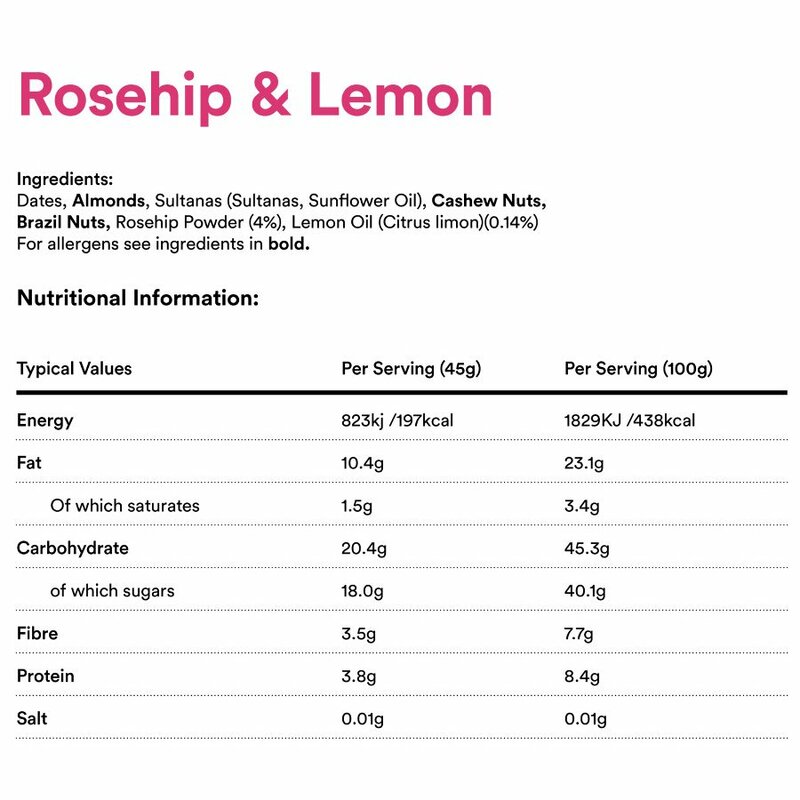 There are currently no questions to display about Love Raw Rosehip & Lemon Superfood Energy Bar - 48g. LoveRaw began life in 2013 to spread the love of organic food and the importance of diet. They make great tasting, healthy snacks with clean ingredients and healthy products that use the cleanest ingredients possible, bursting with vitamins and nutrients.